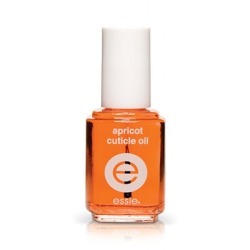 I have been trying the Essie Apricot Cuticle Oil- I’ve had my eye on a few of these types of oils/creams/lotions. I was hesitant to try a couple of the brands after less than impressive results on their other products. I have always had a dry cuticles, hangnails- you know all of those terrible side effects from typing, doing dishes and cold weather. The box says to use it two times a day which I imagined to mean that you may need it on constantly for it to actually work. Luckily, this is not the case! I’ve been applying it about 1-2 times a day and I’ve seen a marked difference in my hands! It has an apricot smell that smells slightly perfume-like with a touch of fresh apricot(versus have just eaten one and have leftover scent from the fruit). Its light and leaves very little residue I’m so pleased with it, it doesn’t just heal, but it seems to be preventing all of the dryness. To get some of your own, you can purchase it here! Categories: Good Looks | Tags: Apricot, Cuticle, essie, Nail polish | Permalink.